We found this great recipe from thefitforkfeed.com and just had to share it with you just in time for Valentines day! For those of you looking for a fun, festive, healthy, and easy snack for Valentines Day (or any day really), this is it! 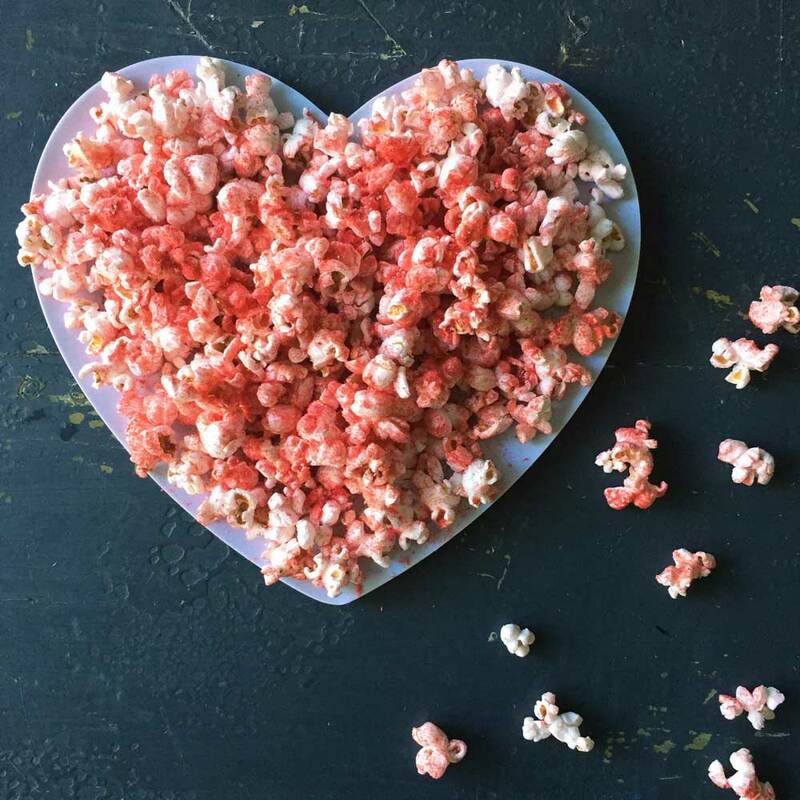 This fruity popcorn is naturally colored using freeze dried strawberries, coconut sugar, salt, and a little olive oil spray. I made this for my sons school Valentines Day party last year (and will be doing it again this year) and the kids loved that it was pink and the parents loved that it was healthy! That’s a win, win, in my book! Place the freeze dried berries in a ziploc baggie and crush with a kitchen hammer or wooden spoon. If you have kids, they love helping with the smashing part, so get them involved! Once the berries are finely crushed into a sugar like powder, add the sugar and salt. Pour the popcorn in a large bowl and spray with a little cooking spray. Then toss and spray again until the popcorn is glistening. You shouldn’t need more than a few sprays. Pour the berry powder mixture onto the popcorn a quarter cup at a time and toss until evenly mixed together. How easy was that?